The title of this blog comes from the Maori word that means "be strong". 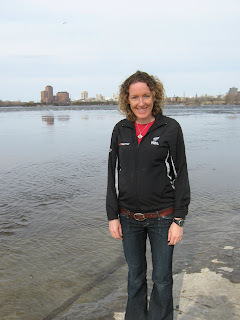 In this blog I share my daily life as a competitive long distance runner. 13 days to go . . . I can't believe that in 2 weeks our Little One will be here!!! The 9 months have gone by so quickly, however since the 8 month mark it seems to be taking ages. I guess I am just so excited for the baby to arrive. My training up until last week was running once per day, however I have now switched over to swimming laps in the pool. My right foot started to feel very tight while running and decided not to risk getting injured. Being in the water feels great and much better on the joints. I think all of the extra weight started to annoy my feet :-) I think Little One likes swimming as I can feel the baby moving around the whole time. Gabriel's Mum came to stay with us from Brazil for 4 months which is great. It will be a big help having someone experienced with little babies. She does not speak English and I can't speak Portuguese although I am trying to learn. It is fun to try communicating :-) and it is definitely helping my Portuguese. Below is my updated weight chart and a few more photos of the growing baby bump and a photo with Eurides (Gabriel's Mum). 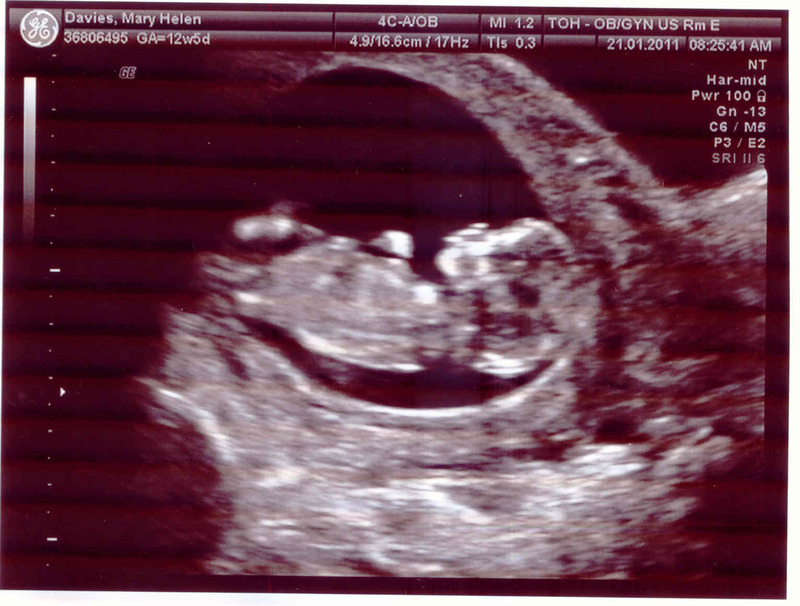 Hopefully the next time I write on my blog we will have our Little One. Not long now and our Little One will be here. We are starting to look at strollers, car seats, cribs etc and are a little overwhelmed by all the choices. I am still running everyday but incorporating some swimming and aqua running as well. Some days the running is great and I feel pretty good but other days I struggle to do 6km and have to walk/run. So each day I start the run and just see how the body is feeling and go from there. The belly is getting bigger and I am finding my balance is not quite as good. I tried to do the elliptical a few times but I think I get motion sickness from doing it as I always feel very nauseated. Also sometimes when I run. We have decided that we will go back to New Zealand from December until April. Gabriel can take parental leave which is great so we will be able to spend a lot to time together as a family. Also by going back to New Zealand we can miss the Ottawa winter and I will be able to train for the marathon more effectively. It will be great to run back at home as there are so many wonderful places to train. Lots of hills which will definitely help build up my strength and beautiful scenery all around. Until next time Happy Running!! Today marks 6 months of being pregnant! The 3 month countdown begins . . .
Running has been feeling harder the last two weeks due to the increase in weight and the baby's position. It feels as though Little One is sitting very low and it is becoming quite uncomfortable when I run. Also my bladder is not allowing me to go to long without needing to stop. However it still is great just to be out running even though it is not fast. Winter is finally leaving Ottawa and for the first time I was running in shorts yesterday so even more motivation to get out and run :-) Finally the snow and ice has gone. I will start to substitute some of my runs with cross training. Either swimming or elliptical. I tried biking last week and this was terribly painful so biking is off the list of activities for a while. The doctors appointments have gone well and Little One weighs about 1 1/4 lbs :-) It feels as though the baby weighs more though especially when I am trying to run!! I have put my updated weight chart below and a picture of the growing baby bump :-) Now I am up 15lbs and definitely noticing a difference. Until next time happy running everyone!! I am still managing to run between 60-90 minutes per day :-) It feels great to be out running. I am running pretty slowly now in comparison to what I was before and not doing any hard workouts or extremely long runs. It is quite nice just to enjoy running without the pressure of having to perform. However in saying this I really do miss training hard. Watching races and seeing results from races really makes me miss competing. However I am taking this break from the heavy training and enjoying being pregnant. It is definitely making me hungry to get back in shape and compete well after the baby is born!! 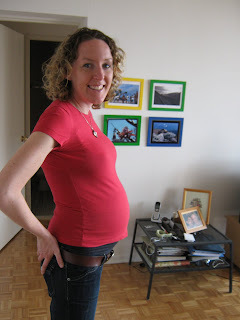 The baby is now 16 weeks and approx 10 cm but feels much bigger than that to me. Already my clothes are getting too tight and I have noticed that during running the extra weight is definitely slowing me down. Before pregnancy I was 113lbs and now 16 weeks in I am 125lb. I am wondering how I am going to be feeling running at 140lbs and over . . . . I am sure that sometime during the pregnancy I will have to alternate between cross training and running. However the weight gain is making me excited as it means that Little One is growing :-) I am really looking forward to feeling that first kick :-) and the baby moving. I should not have too much longer to wait. I thought it would be interesting to chart my weight gain and see if there are any patterns. Below is the chart so far. . . .
Also I wanted to say a big thank you to Mizuno for their continuous support of great apparel and shoes. I am not sure how I would have survived running in the Ottawa winter without their wonderful clothing. Especially their breath-thermo line. 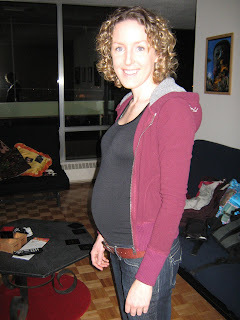 I will leave you with a photo of the baby bump . . . .
A baby is coming . . . .
Before the news of the baby I had been planning my training and racing calendar for 2011 with my coach Steve Boyd and which race I would run to try and qualify for the 2012 Olympics. The news of the baby changed these plans and now I am planning to run through the pregnancy as long as I can to keep my fitness level high so it will be easier to come back after. However I am monitoring the intensity and not pushing hard. I am listening to my body and the baby as to what I can handle and when I need to cut back. If my recovery from the pregnancy goes well I am planning to try and run a qualifying race for the Olympics in 2012. Athletics New Zealand has not released the qualifying standards but I have heard it will be between 2:30 and 2:31. 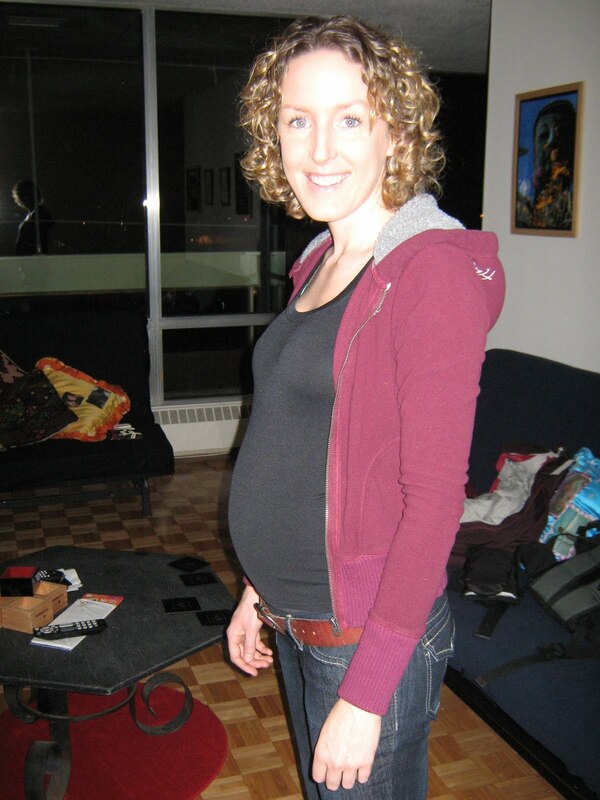 Now that I am running half of what I did prior to pregnancy I decided to complete my personal training certification and just got a job with 'The Athletic Club' which will be opening in the Trainyards in Ottawa in early February. I am very excited to start working as a personal trainer. I love that I will be able to help others pursue a more active, healthier, and energized lifestyle. I have two passions in life. One is running and the other is helping people. I am really happy that I am getting the chance to do this and after the baby I can combine my two passions together with running and personal training. And of course our little one will be my top priority!! I will update update you all on the exciting journey to parenthood that Gabriel and I are on :-) And next time I will post some photos of the baby bump!! Until next time: Happy Running.